Fall is now upon us, but it is not too late to add some native Colorado plants to your landscape. 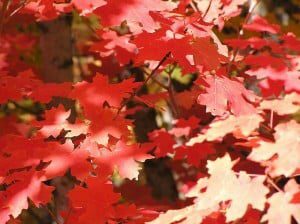 When you want an attractive deciduous tree or shrub, the beautiful Rocky Mountain maple is a Colorado favorite. This maple may be small but the impact it has in landscape designs is large! The Rocky Mountain maple is significantly more compact than its cousins in other states. At its tallest, it reaches only 30 feet and is usually considered a shrub, rather than a tree. However, what it lacks in height it makes up for in beauty. This is most apparent in autumn, when its leaves turn a vibrant, fiery red. If you add even just a few of these maples to your landscape, you can imagine the gorgeous affect gained by the splashes of red against a backdrop of evergreens and blue sky. The beauty is not limited to the fall. 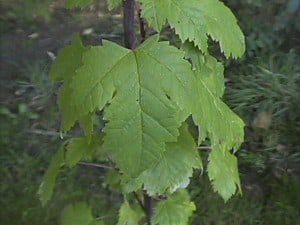 During spring and summer, the maple is covered by light green leaves that are set against a backdrop of the shrub’s red bark. Planting this ornamental shrub also has practical benefits, too. The Rocky Mountain maple sends its roots down deep in the soil, and this will help prevent erosion on sloping land. It is not very particular about light and is exceptionally shade-tolerant. It does not mind if it is in the shadow of other, taller shrubs and trees, but it also handles full sunlight well. In addition, It is not fussy about the soil it grows in, and it will not typically suffer from nutrient depletion even when sharing an area with other trees and shrubs. Because of the Rocky Mountain maple’s easy care, you can have it planted nearly anywhere on the landscape. Would you like to enjoy stunning maples or other fall plants in your landscape this season? Lifescape Colorado can take care of all of your planting and landscape maintenance needs in autumn or any time of the year. Contact us today with any questions or to learn more about our landscaping and gardening services.